America’s entry into World War II following the Japanese attack on Pearl Harbor, Hawaii, on December 7, 1941, had a direct effect on the nation’s Pennies, spawning some historic and unusual “emergency” coins in an effort to save copper for the war effort. 1941 and 1942 Lincoln Pennies were made in the standard 95% copper composition, with the remainder tin and zinc, but the 1943 coins were made in 100% steel because copper was needed for shell casings and other war-related items. The one-year-only 1943 coins were the only steel coins in U.S. history. In 1944 and 1945, Pennies were made with recycled copper from shell cases recovered from battlefields and ships. Tin was also needed for the war, so the coins were 95% copper and 5% zinc. 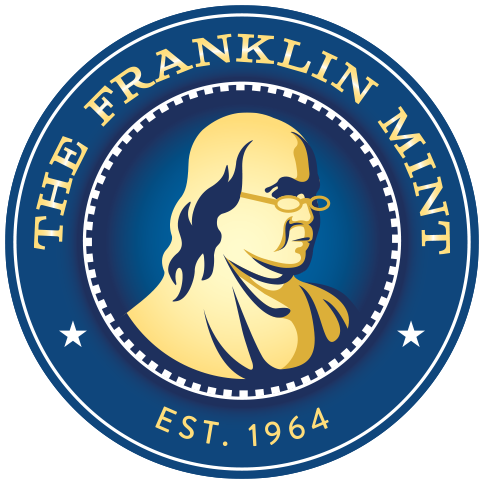 All 1941 to 1945 coins were made at the U.S. Mints in Philadelphia (no mint mark), Denver (“D” mint mark under the date), and San Francisco (“S” mint mark). This is the complete WWII collection of all five years of Lincoln Pennies from all three mints. These are the coins that Americans used during World War II! 6" x 5.5" x .25"
Was very happy with the cent collection which has completed my collection. Set is nice. Priced o.k. but could be better. Quality is good. I would order more but I do NOT like shipping charges. I'm an experienced coin collector, going on twenty years now, and I recently purchased this item because this is the first I have seen detailing such diversity of the Lincoln wheat cent metals used in manufacturing during this era through demonstrating their color variation. Unfortunately, the different colors shown here depicting the cents' absence or addition of different metal mixtures is NOT what you will receive! I was extremely disappointed when the coins I received are not at all five distinct colors as shown due to the separate metal mixtures used in production. All of the coins are poorly chosen, even heavily damaged, sharing the same color throughout all except for 1943, of course, when the one-cent piece was minted using steel. Only an inexperienced coin collector or one who is tolerant of deceptive techniques such as Photoshop would be satisfied with this item. It looks nothing at all like the items description or photograph. I highly recommend against purchasing this item. It is deceptive, poorly made, carelessly thrown together, and not worth the wheat cents it carries, much less the money you will be out of once you waste it on this dreadful display. If this is the lack of quality one can come to expect from the Franklin Mint, then expect me to shop elsewhere. I bought these coins as a Christmas gift for my uncle, and they were a huge hit! He loves history and old coins, so he spent lots of time studying each one and reading the history behind them. The coins came on time, they were in great condition when they arrived, and they are legitimate era coins which makes them even cooler! 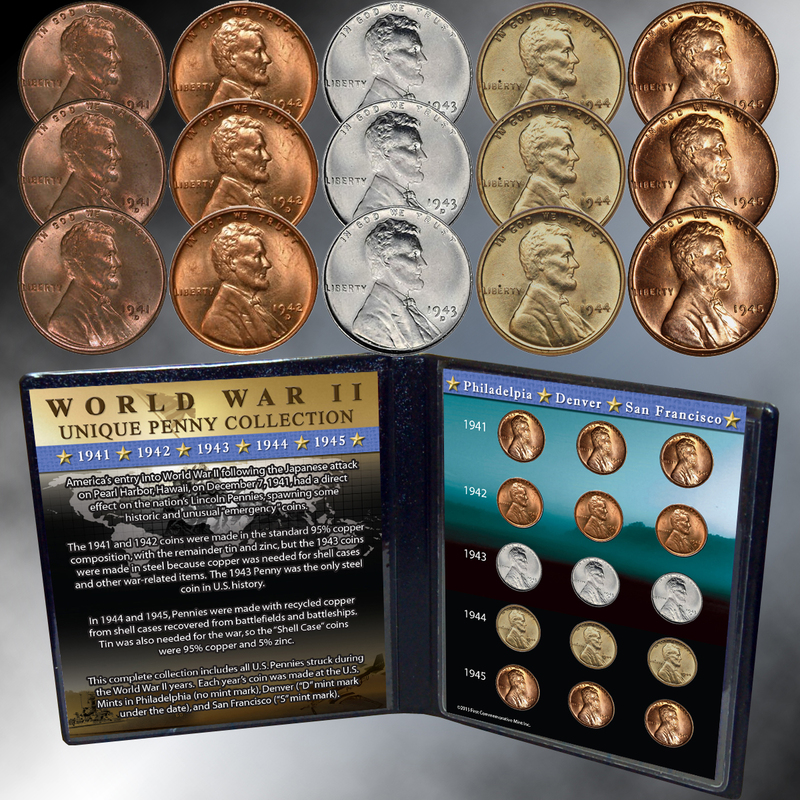 This is the perfect gift for anyone into coins, or just for the general history buff! I highly recommend this product!